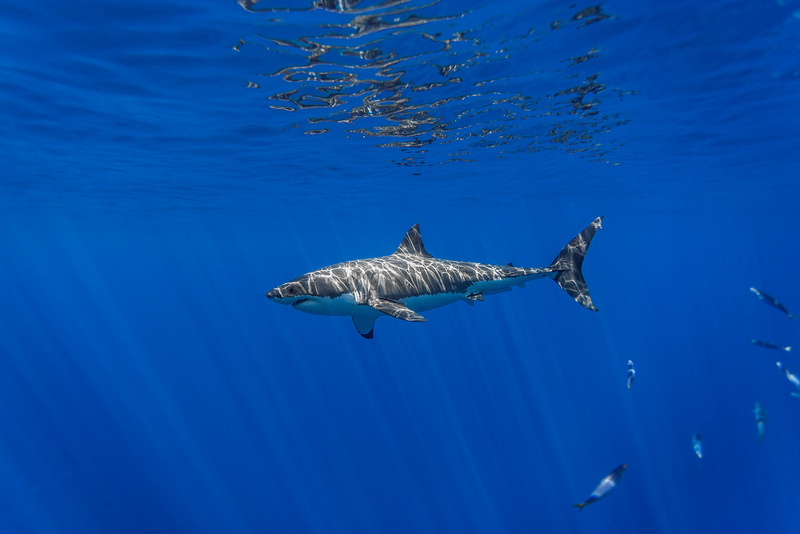 A male great white shark (Carcharodon carcharias) is illuminated by rays of sunlight as he swims just below the water’s surface off of Mexico’s Isla de Guadalupe. 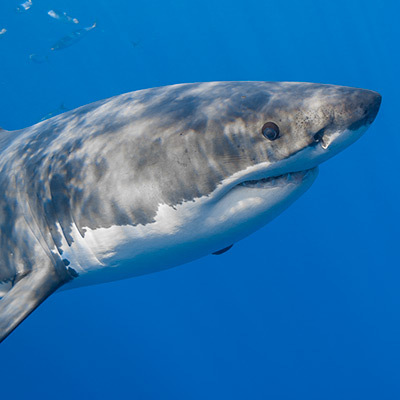 The island is located in the Pacific Ocean, about 240 km off of the Baja peninsula. 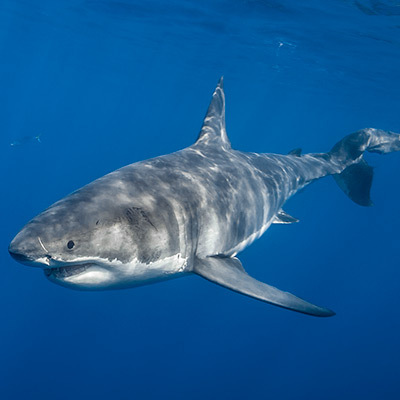 In the autumn months, white sharks aggregate there to feed on natural prey items including yellowfin tuna, Guadalupe fur seals, California sea lions, and northern elephant seals.